Saving those Club Nintendo Coins for a special occasion? Well, it's a new month, and that means new rewards. Here's what North American Club Nintendo members can choose from now. 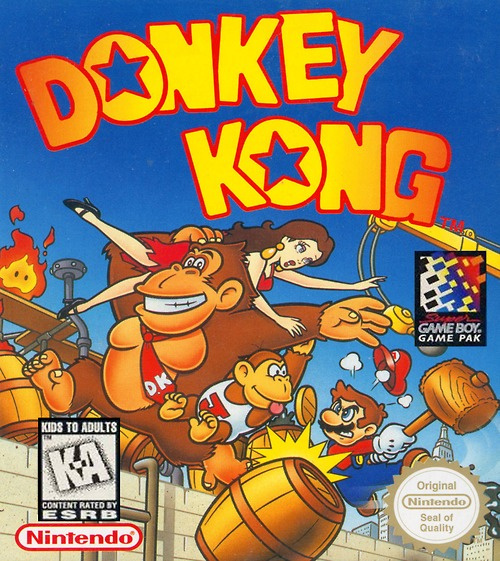 Donkey Kong (Game Boy) — 100 Coins. Brain Age Express: Sudoku (this reward is only available through the 3DS eShop) — 150 Coins. Kirby Super Star (Super NES) — 150 Coins. Maboshi's Arcade — 150 Coins. In related news, some Club Nintendo Coin values will change on 1st July. Any of these games tempting you to break open your virtual piggy bank? Thinking about Maboshi's Arcade... any enjoyed that one? I'll probably get Kirby Super Star. @James Are you going to mention the coin value changes they've listed on Club Nintendo? People should probably know before they get devalued. I just spent 150 coins on Kirby Super Star. I hope it's as good as people claim it is. I still have 370 more coins I'll be saving for any other worthwhile VC rewards offered in the future. Cool, I have been wanting to play Donkey Kong, and if I didn't have Super Star Ultra that would be a good choice. got 170...thinking about Donkey Kong, or saving up to get the 3DS case. Any tips. I will probably save my coins till I have the case though. @TheSolarKnight Break it down for me in a nutshell. @G4L: Kirby Super Star is probably the best Kirby game I've played, but I haven't played all the way through Epic Yarn or Return to Dream Land. I'll be getting it when I wake up. @James some Club Nintendo games in NA are getting coin valued changes for eample after a certain date Colors 3D will only give you 10 coins instead of 20. I'd really like to know how to access that list of the devalued Club Nintendo games. Thanks @MasterGraveheart. I downloaded Kirby's Adventure awhile ago. I've only reached the 5th level, so far. I'll probably dive into Super Star, whenever I've finished Adventure. Its the best part of the whole game. I got you guys covered. Story up in 20.
w00t! Just got Donkey Kong! I have the cartridge, so I didn't want to buy it, and I was hoping all week that this would be the game they put up! And it was! AND it's cheap enough that I was still able to order the Mario 3DS Pouch! @ Miss_Rarity & "Thinking about Maboshi's Arcade... any enjoyed that one?" I want Kirby Superstar, but I'm wondering if I should hold out for the Kirby anniversary collection? @Tethers, "But it would be better for the developers to buy it ^^." Ummm... So would purchasing any game available on the WiiShop. I think that would defeat the purpose of offering downloadable Club Nintendo rewards @Tethers, now wouldn't it? Also, maybe @Miss_Rarity isn't able to afford any Wii points, at the moment. Is it worth getting Donkey Kong if you already have Mario Vs. Donkey Kong? Getting DK, have Super Star Ultra. Already got Donkey Kong way back when it was released on the eShop. Might get Brain Training and Kirby. Looking at Donkey Kong I believe. I already have Donkey Kong and Maboshi's Arcade. Both are excellent titles. But I am crazy excited about Kirby. I've been wanting that game for a while. Thanks Nintendo!! Nope. I'll just save up for folders or something stupid like that. I'm possibly getting Donkey Kong for my 3DS. I already have Kirby Super Star Ultra on my DS, but I might get the original. It depends on whats included in the Kirby 20th Anniversary Collection for Wii, so I'm going to wait until after E3. Is Nintendo even going to be covering the Kirby Anniversary at E3? getting donkey kong and kirby....i loved that game...kind of wish it was on the eshop though as now I'm going to have to buy a classic controller for my Wii, just to play it. Wow, those are some of the top games on each platform. Donkey Kong is one of the finest GB games ever made, Kirby Superstar is amazing, and I've always been a huge fan of Maboshi's Arcade. If you don't have all three of these, you'd best get to downloading right now. I'm getting DK and Kirby. I also have Super Star Ultra, but I prefer the SNES by a landslide. Finally! Some games I actually WANT to spend my coins on! I'm definitely going to get Kirby Super Star and Donkey Kong. Well, another month where I can't really get anything. Own DK, considering getting either SuperStar Ultra or the Kirby Wii collection, and not interested in the Wiiware or DSiware offerings. I have Maboshi´s Arcade and it is a good game. I enjoy it, it is relaxing and you can play with 2 more people at the same time, save replays and exchange them with others. I give it 9/10 ah, and you can download the puzzles to your DS. Lmao, I almost bought Kirby Superstar last night! Glad I buckled down and waited to see what was new. Still getting Kirby even w/ the compilation announcement as it's basically free. And how do you announce a compilation 2 months ago but still haven't announced what games will be on it? Maybe next week? OK, maybe I'll wait, just to see the price. @Blizzaga I was wondering the same thing. I'm sure Nintendo will announce a release date for it sometime during E3. Donkey Kong '94 seems like a good deal. Was on the fence with actually buying it. Awesome!!! Been saving up my coins the last few months since they didnt have any games that I wanted. I was just about to spend my coins on the Mario 3DS case but I decide to wait and see what games they were going to have this month. Glad I did going to be getting Donkey Kong and Kirby today. Probably picking up Donkey Kong as that is a game I missed in the past and is on my wishlist. They always release the 3DS games I already have! Grrr. Good stuff but I've played everything I've wanted to play... not interested in Maboshi's Arcade or Sodoku. Yeah Im also wondering if the Kirby game will be part of the Collection, I would bet that the Collection has the Gameboy game, NES, this one and the the nest 2 or 3 in the series. This is a fantastic collection of rewards. Getting all of these "free" games (Fluidity, Majora's Mask, Mario's Picross) allows me to feel okay about spending real money on other stuff I might not have taken the risk on otherwise. These monthly rewards are the best decision Nintendo's made in the past year. Downloaded DK (Game Boy). Miyamoto produced it, that's all iI needed to see..lol. E3 IN 3 DAYS!!!!!!!!!!!!!!!! The wierdest thing happened today. I was pissed because I was gonna have to buy a 3DSWare game just to get the 10 coins I needed to get Donkey Kong, but when I logged on Club Nintendo, it turned out I had 100 coins. 30 seconds later, I got Donkey Kong. Saved $10 and got a great game. F### Yea! Is there a reason to get Kirby if you have it on DS already? Of course there are no 3D games. i was so excited when i saw my most favorite game of all time Donkey Kong 1994! @StephenYap3, why do you prefer the original SNES version so much? I'm just wondering, because I've never experienced either version. Own Donkey Kong and Super Star Ultra. Tempted by the original Super Star and the others, but my coin reserves aren't vast and I'd rather it be counted for next year. @Chariblaze, the coins added to your account are only counted towards reaching gold or platinum status from June 30th to June 30th of the following year, so any coins you received before June 30th of this year will only count towards reaching this years status. Also, whatever total amount of coins you gain counts towards reaching gold or platinum status, so spending every coin you've gained makes no difference. Don't pass up a downloadable reward, if you really want it. 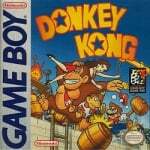 Donkey Kong GB is probably the best Game Boy game, period. Great selection. Getting DK and probably Maboshi. And if I didn't have Kirby already, I would have gotten that too. @Gamesake, because maybe everybody doesn't have the funds available to afford the compilation. Also, who knows if you'll actually want to play every game that will be on the compilation. Where has it been guaranteed that Kirby Super Star will definitely be on the compilation disc? In just about every case, compilations and anthologys end up containing poorly emulated representations. I hope there are more months like this. I'm debating on Kirby Superstar, but I may still want to get the DS title, instead. I DO have a lot of coins, though (over 1800). 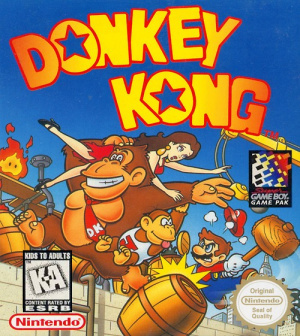 I already have Donkey Kong, and it is the best version of any game with THAT title. Incase some of you don't know, there are 97 levels on this one. Anyone who doesn't have it and has 100 coins, GET IT!! Daaaaamn @shredmeister! Share the wealth. Don't worry, I'm just kidding my friend.